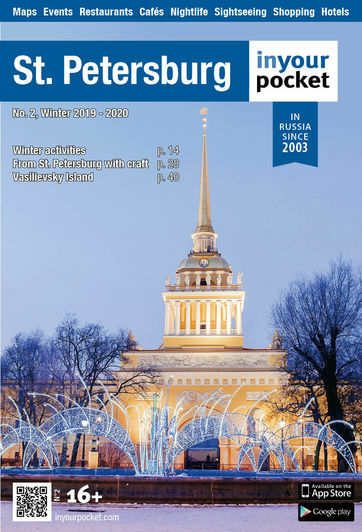 As any St. Petersburg local will surely know, the iconic Peter and Paul Fortress is the birthplace of their city. When Peter the Great felt a possible attack might come from the Swedish army and navy, he decided to build a fort to protect the area. The fortress was founded on a small island in the Neva delta on May 27, 1703 (May 16 according to the old calendar) and that day became the birthday of the city of St. Petersburg. Of course, a visit to St. Petersburg would not be complete without a visit to the city’s birthplace. 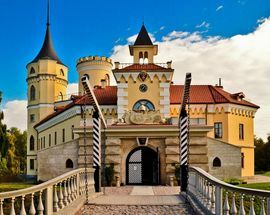 But given its turbulent history and various wars and armed conflicts with neighbors from the north and northwest, this region of Russia is home to many other fortresses that warrant a day trip. In this feature, find out why visiting Kronstadt, Vyborg and BIP Castle in Pavlovsk is a must if you’ve got a bit of extra time in St. Petersburg! The closest significant fortress to St. Petersburg is the town of Kronstadt, lying about 30km west of the city. Founded on May 18, 1704 (almost exactly a year after St. Petersburg) by Peter the Great, Kronstadt has had a long and turbulent history, making it a must for anyone interested in Russia’s historical and military affairs. Peter the Great took the island of Kotlin from the Swedes n 1703 and immediately started building fortifications that came to be known as Kronstadt's Forts. Legend has it that Kotlin got its name from the Russian word “kotyol” (kettle) because that is the first thing that Peter saw when he stepped out onto the island (it was likely left behind by the Swedes). 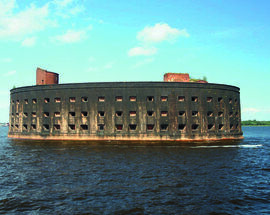 Several small islands were created artificially (each with a fort) in order to close all access to St. Petersburg by the sea, making it the most fortified port in the world at the time! Only two narrow navigable channels remained and the strongest forts guarded them. The name "Kronstadt" was invented by Peter the Great himself and in German means "Crown City”. Throughout its history, the island witnessed the “Kronstadt Rebellion” (in 1921 a group of navy officers and sailors, soldiers as well as their civilian supporters rebelled against the Bolshevik government) and played a vital part in World War Two, especially during St. Petersburg’s darkest chapter – the Leningrad Blockade. It was thanks to the power of the Kronstadt Fortress that the destruction of Leningrad (the main industrial and cultural center of the USSR) was successfully prevented. In 2007 then President Medvedev named Kronstadt a “City of Military Glory”, a very prestigious status in Russia, for "courage, endurance and mass heroism, exhibited by defenders of the city in the struggle for the freedom and independence of the Motherland". For a long time, the city was the main military base of the Baltic Fleet, and sailors and their families still make up a significant part of the population of Kronstadt. Warships continue to moor at the city’s wharves and the spirit of a military camp is still prevalent. 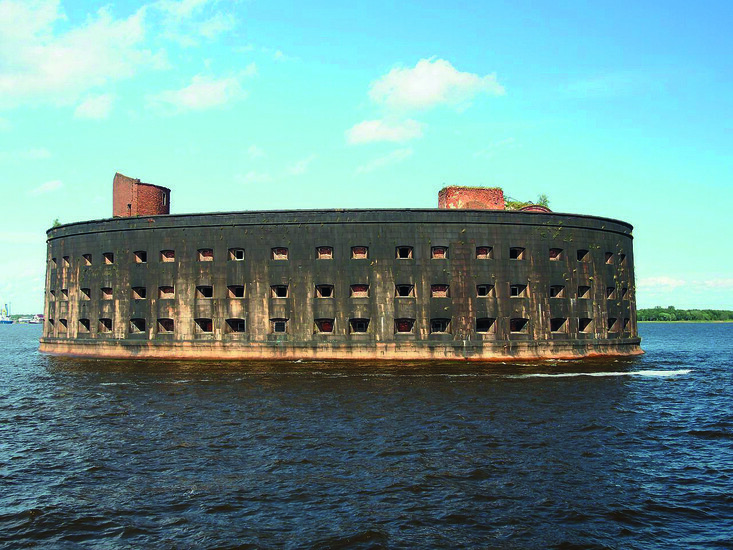 Although quite a few small fortified artificial islands were destroyed or recycled during the construction of the Saint Petersburg Flood Prevention Facility Complex (a new dam of protective structures), Kronstadt still retains some of the "forts". Thanks to the new dam, it can now be easily reached by road whereas before it was only accessible by boat. This means that it’s a very easy one-day getaway for those longing for fresh sea air, unpretentious architecture and romantic forts or just something different to the grandiose and celebrated landmarks of St. Petersburg. And if you arrived to St. Petersburg by sea, you will have already had a glimpse of Kronstadt because every ship that goes in and out of St. Petersburg’s water area passes through the floodgates of the Kronstadt Dam! Some people choose to see Kronstadt by themselves while others prefer an organized tour for the sake of ease. If you’re one of the more independent travelers, divide your day into two parts. On your first walk, you will see the actual city’s main sights. That, of course, includes the breathtaking Kronstadt Naval Cathedral. Don’t worry about getting a map: the golden dome of this temple can be seen from almost anywhere in the city – and even beyond. In terms of size it is even comparable with Istanbul’s Hagia Sophia! Built between 1903 and 1913 as the main church of the Russian Navy and dedicated to all fallen seamen, the cathedral – like most others during Soviet times - was closed in 1929 and then converted to a cinema, a House of Officers (1939) and a museum of the Navy (1980). Even though it was widely used during Soviet times, after decades of Communist rule it certainly wasn’t in its best shape. The cathedral recently got a much-needed facelift when a famous Kronstadtian, the former first lady Svetlana Medvedeva, put all her efforts into finding the funds to renovate it. After extensive repairs and improvements, the cathedral was reconsecrated on May 30, 2013 by Patriarch Cyril just in time for its centennial anniversary. It is open to the public and we highly recommend going inside to admire the beautifully decorated walls and ceiling, as well as to honor the city’s fallen seamen. Across the unique cast iron bridge (instead of cobblestones, the square is paved with metal bars) is the vast territory of the Admiralty and the extensive Catherine Park lies along the canal. Follow this canal until it empties out into a small harbour called the Italian Pond. What has it got to do with Italy, you may ask? Peter the Great believed the harbor was a convenient place for the mooring of merchant ships and it just so happened that it was opposite the impressive Italian Palace, built by Alexander Menshikov, a close associate of the Tsar. At the tip of the pier there is also a beautiful lighthouse. Afterwards start heading towards Petrovsky Park a little further down the coast but make sure to get a glimpse of one of the main attractions of Kronstadt, the Petrovsky Dock, which is clearly visible from the dock bridge over the Peter the Great Canal. From here you have two options: take a taxi to the Schantz Fort at the western tip of the island where locals come to have picnics and shashlyk (barbecues) or, weather-permitting, take a ride out to sea one of the tour boats offer sightseeing trips on the Gulf of Finland. These boat tours usually include the Kronshlot Fort, the Peter I Fort, the Alexander 1 Fort, the Milyutin Fort, and the final land fortress, the Konstantin Fort. You can land at either the Alexander 1 Fort or Konstantin Fort. The latter was recently turned into a tourist center offering a wide range of services. But it has also kept some of its historical naval charm. You can crawl through the tunnels of the batteries constructed here to defend principal approach and and take in the view of the bay, the vessels, Kronstadt itself with the gold dome of the cathedral on the horizon and the other artificially created fort islands. You can also walk up to the roof for a look at it all from a bit of elevation. There are quite a few dining options in the city but they are not yet as hip or refined as some of the eateries in St. Petersburg so be ready for borshch, pelmeni and co. Located only about 4km from its more famous cousin the historic city of Pushkin, Pavlovsk may be small in size but it certainly makes up for it in terms of history and beauty! The town itself developed around the Pavlovsk Palace, a major residence of the Russian imperial family, and is now part of the UNESCO World Heritage Site "St. Petersburg and Related Groups of Monuments". Pavlovsk is home to BIP (“Bolshaya Igrushka Petra” or “Peter’s Big Toy”) Castle, also known as Paul’s Fortress or the Bastion of Emperor Paul. It was built between 1795 and 1797 by the famous architect C. F. Brenna on orders of Emperor Paul I. Prior to the castle’s construction, the area was occupied by the remnants of a Swedish outpost built by the Swedish General Cronhjort in 1702. There is a memorial plaque at the entrance of BIP Castle commemorating this outpost. The castle consisted of a two-storey pentagonal building with a courtyard and two oval towers. The building was surrounded by fortifications constructed under the supervision of a military engineer Caus, including bastions, ravelins, lunettes and flushes. In 1798, BIP Castle was ranked by the St. Petersburg Engineering Department and, thus, was included in the military registry of fortresses of the Russian Empire. On June 15, 1811, however, the castle was expelled from the Engineering Department and went on to serve as a school for the deaf and various other colleges. After the October revolution, the castle was occupied by the Board of Deputies and then made into General Yudenich’s headquarters. 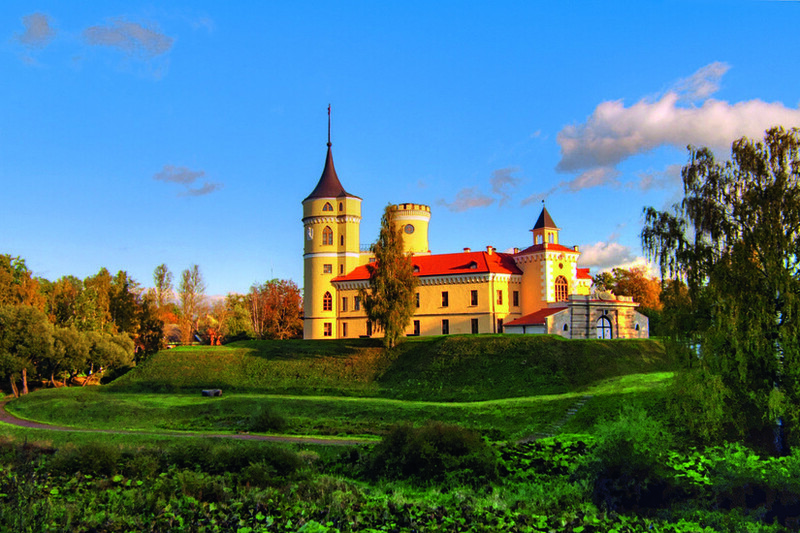 During World War II, the castle burned to the ground during the Soviet offensive of 1944. Until recently, it was completely neglected as a romantic ruin perched on the banks of the Slavyanka River on the outskirts of once glorious Pavlovsk. 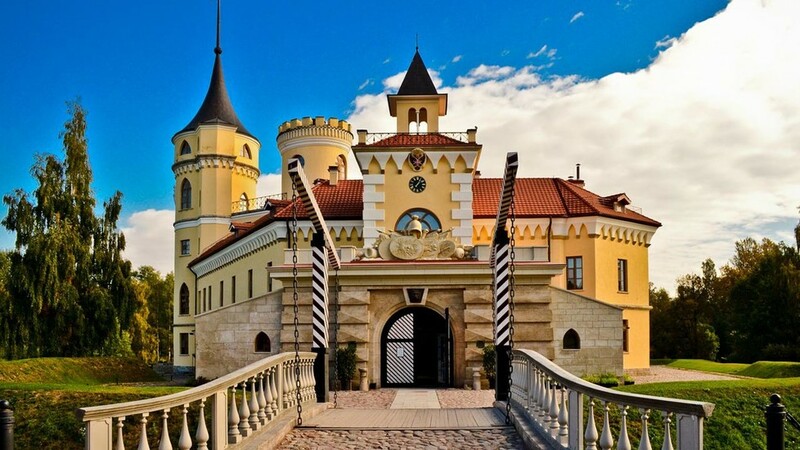 After lengthy renovations, the Castle was reopened as a grandiose restaurant with its own vegetable garden in summers and a mini farm consisting of turkeys, chickens and goats that freely roam the territory. It’s also quite a hotel for those who want to escape the hustle and bustle of city life. The nearby Pavlovsk Park is definitely recommended for a leisurely stroll, especially on days when the sun is out. Getting around the park and taking in all the views and history is a task for almost the whole day but you can rent a bike to get around faster (300Rbl for first hour and then 200Rbl for the following hours). A superb example of English-style landscaping, this huge park has beautiful rolling vistas, dense woodland and several charming follies. The star of the park is, of course, the Grand Palace. Though not grand in dimensions, the palace was designed with the elegant restraint of severe neoclassicism and nonetheless makes quite an impression, especially thanks to some beautifully decorated interiors. The center of Pavlovsk Park is the Rose Pavilion, an elegant neoclassical structure offering a fine example of early 19th century wooden architecture. It was even the favorite spot of Empress Maria Fyodorovna! For an additional fee (150Rbl adults, 100Rbl school children), you can enjoy a walk through the Private Garden of Empress Maria Fyodorovna, once reserved exclusively for the owners of the Grand Palace. This small but beautifully executed garden was initially designed by Charles Cameron as a cozy retreat. Don’t miss the Temple of Friendship, a typical neoclassical rotunda dedicated to Catherine the Great; her likeness is featured in a series of flattering sculptures and bas-reliefs. If you want to get away from any sign of civilization there plenty of heavily wooded areas where you can enjoy a bit of solitude – unless one of the inquisitive squirrels runs up to you in hopes of getting a treat. There’s plenty to do for the sports fans, too. During the warmer months hire a paddleboat for a little wander along the serene river or play some football, basketball or tennis on the sports courts. The little ones will amuse themselves at the mini fun park or with a pony ride. In the summer, classical music and other arts events take place on weekends and also some weekdays. Dining options at the park itself are limited to stalls selling snacks and a few cafes selling typical Russian summer outdoors food. Something a bit more refined can be found in the elegant Grand Café in the Grand Palace. Don’t forget that you can bring your own picnic basket or simply walk over to the swankier BIP Castle restaurant. Entrance to park costs 100Rbl for adults and 50Rbl kids. To get to Pavlovsk from St. Petersburg, either take an electric train from Vitebsk Station (departing roughly every half-hour, journey time 35 minutes) or a “marshrutka” minibus from Moskovskaya Metro Station (K-286, journey time 40 minutes). To travel between Pavlovsk and Tsarskoe Selo, take either the electric train or a K-545 or K-299 minibuses between Catherine Park and Pavlovsk Park. With its cobblestoned streets and medieval castle, the picturesque town of Vyborg makes for the perfect day trip from St. Petersburg (it’s 130km away from the City on the Neva). Throughout its 700-year history, the town changed hands several times, moving back and forth between Sweden, Russia, Finland, the USSR and Finland again before finally being incorporated into Russia. The city’s main attraction is, of course, the Vyborg Castle. 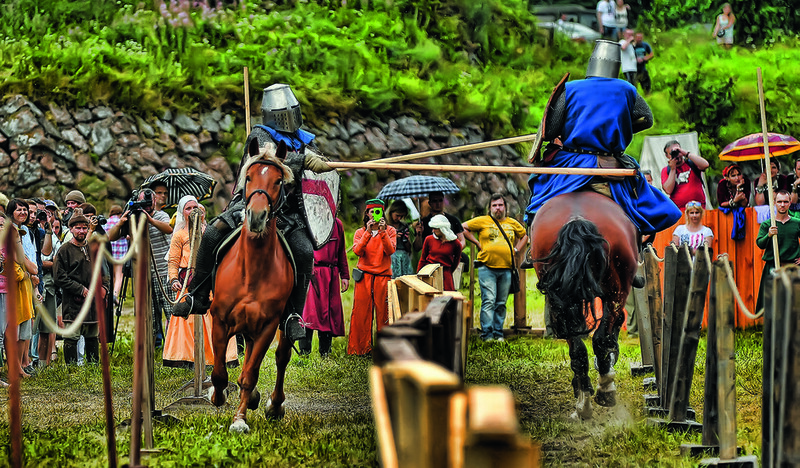 A 13th-century medieval fortress on a tiny islet, it now functions as a local history museum. 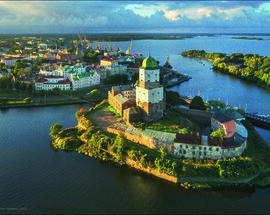 Vyborg Castle was one of the three major castles of Finland. It was built as the easternmost outpost of the medieval Kingdom of Sweden by orders of Torkel Knutsson, Lord High Constable of Sweden, who in the 1290s made a supposed crusade against Karelia, the Third Finnish Crusade, which actually was aimed against the Russians of Novgorod Republic. In the 16th century, much was renovated and additions were made. In the 17th century, the castle was allowed to decay, as Russian danger was lessened and the border was further eastwards. Vyborg was taken by the Russians in 1710, but passed back to Finnish hands in 1812 when all of Old Finland was attached to the autonomous Grand Duchy of Finland. The castle owes its present appearance to extensive restorations undertaken in the 1890s. The military of the Russian Empire used the castle until 1918 for housing administration. We won’t get into the nitty-gritty of the castle’s history – you can discover it for yourself at the museum! And for spectacular views across the city, climb to the top of St. Olaf’s Tower, the castle’s only remaining tower. 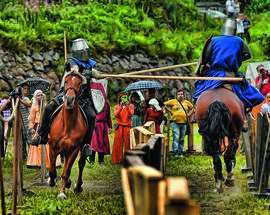 Other activities at the castle include the crafts yard where you can try your hand medieval building techniques, the knights chamber with locally handmade knights attire (try it one on while you’re there! ), the medieval torture chamber and, last but not least, if you’re lucky an encounter with the castle’s very own Filimon the cat. After you’re done at the castle get lost in the cobblestoned streets of the Old Town, home to many antiques shops, bakeries, restaurants and bars. In Your Pocket grabbed a bite at Istoria restaurant while exploring Vyborg and the price to quality ratio of the fish dishes was very satisfying. 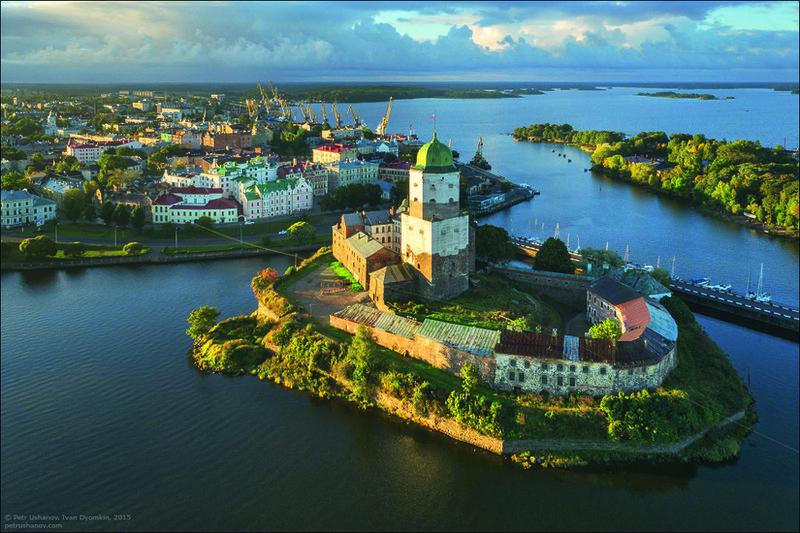 Don’t miss the Guildhall Tower, the only remaining watchtower serving as a reminder of medieval Vyborg. Another popular sight is the Round Tower, a fortification in Market Square that was built in the 16th century. If you’re hungry stop there for longer because now functions as a restaurant that serves up medieval-style banquets. There’s also something here for the art fans. The Hermitage-Vyborg Center is an outpost of the St. Petersburg State Hermitage Museum, that owns a sizeable collection of Finnish, Russian and European art. The Hermitage-Vyborg is just one of the city’s several modernist buildings built by Finnish architect and Vyborg native Uno Ullberg in the 1920’s and 1930’s. Others include the Tuberculosis Hospital and the Avangard Stadium. Before leaving make a pit-stop at the viewing platform on the Panzerlax Bastion where the museum is located. Another architectural marvel of Vyborg is the the Alvar Aalto Library. Built by the acclaimed Finnish architect, the library is a preeminent example of 1930s functionalist design and has reopened not long ago after quite a bit of restoration work. The city also boasts a few churches and cathedrals. If you arrive to Vyborg early and have the intention of leaving quite late, Park Monrepo is an hour’s walk (or a short taxi ride) away from the center. Landscaped gardens complete with pavilions, lakes, bridges and sculptures offer the perfect escape to nature and complete tranquillity. Getting to Vyborg is easy. Take one of the several trains from St. Petersburg’s Finlyandsky Station. The normal train takes 2:15 hours, the high speed Lastochka a mere 1:15 and if you get one of the trains going to Helsinki you’ll be in Vyborg in just 55 minute. If you’ve got a car, the drive shouldn’t take you more than 2 hours (depending on traffic). Feel like a day trip might not be enough? Vyborg has plenty of good quality accommodation options.